Seattle Seahawks won the Super Bowl XLVIII Championship. The Volunteers made the first New York/ New Jersey Super Bowl an unforgettable outdoor experience in cold weather. TechTier’s Volunteer App networked the volunteers meticulously. We share a small portion of the great success. This is region’s first opportunity to host a Super Bowl and a chance to show the world how to do it! 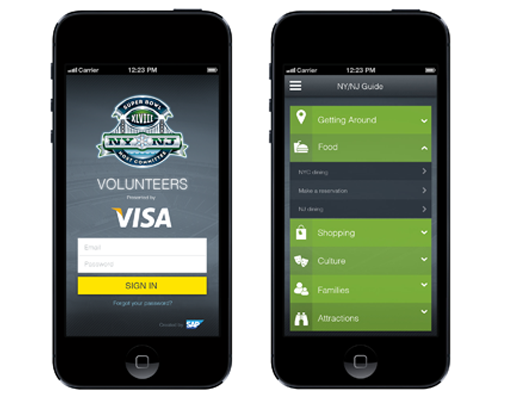 The NY/NJ Super Bowl Host Committee Volunteers mobile app gives you event info, lets you manage your schedule, and keeps you connected to other volunteers and team leads.